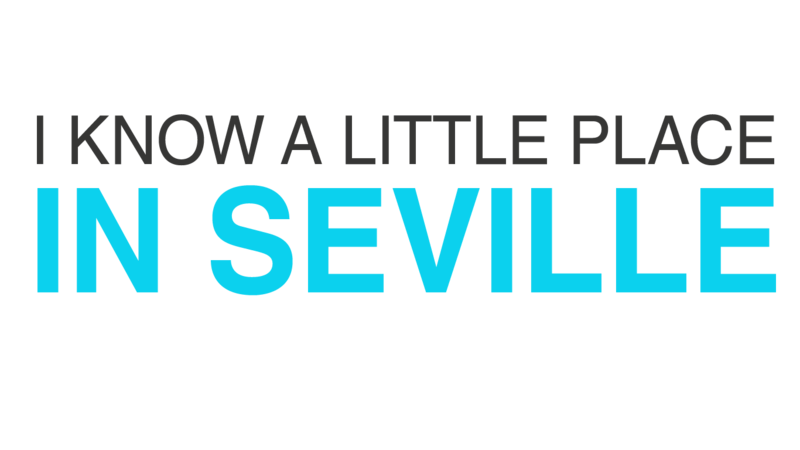 Seville is a city that unabashedly boasts about its status as simply the best city in the world. I have concrete evidence of this assertion. For the last month I have been asking university students a list of inane questions, one of which was the following: ‘If you could choose to live anywhere in the world, where would you live and why?’ To which I would say 80% of those questioned answered, ‘Seville, of course’. 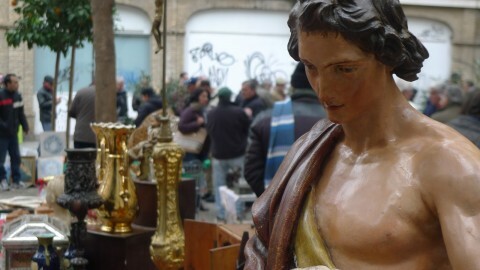 In fact English writer Laurie Lee observed in his pre-civil war novel ‘As I walked Out One Midsummer Morning’ based on his journey across Spain, that the Sevillanos were ‘All parts of the city – the adored Seville – to which even the beggars claimed pride of belonging… It was a city of traditional alegria, where gaiety was almost a civic duty, something which rich and poor wore with arrogant finesse simply because the rest of Spain expected it’. In fact revered institutions such as UNESCO have confirmed the city’s standing by numbering a selection of its historic landmarks such as the Cathedral and Alcázar Palace on its world heritage list, as well as classifying the Andalucian capital as one of the UNESCO Cities of Music. Fair enough you would think on the music front. After all Sevilla alongside Jerez, is the beating heart of Flamenco, and one would imagine as soon as you step off the airport bus, you must surely be greeted by someone serenading you with a flamenco guitar. But many of the professional musicians who ply their wares around the city, would beg to differ, saying it’s impossible to make a living, mainly due the prohibitive nature of live music legislation in city centre bars and music venues. In fact even in the Flamenco world, long standing Flamenco institutions such as the Peña Torres Macarena have been forced to close by the local council, much to the despair of the Flamenco community. 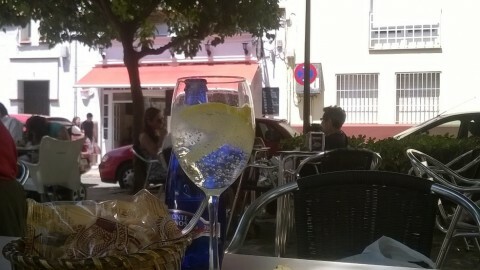 You see it is impossible to get a live music licence in Seville if you are situated in the city centre. Why? Because almost every music venue has got a neighbour who is at their wit’s end living above, someone equally fed up living opposite, not to mention the ones wearing ear plugs every night who live next door. As a result, live music is done on the hoof, in a low key, need to know basis. Very few places charge on the door, so consequently musicians are playing for next to nothing and venues remain open only until the police call halt to proceedings after one noise complaint too many. But this doesn’t mean there isn’t a live music scene, you just need to scratch below the surface to find it. In fact some of the most electrically charged gigs of my life have been here in Seville, crammed into tiny spaces with a maximum of 30 people. So today’s post is a homage to the best live music venues in town. 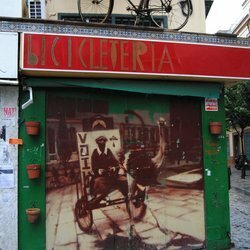 I´ve waxed lyrical about this little gem of a bar before, because in all my years on this planet, I´ve never experienced anything like La Bicicleteria. It´s tiny, dark, decorated with odds and sods picked off the street that are somehow thrown together to make a bohemian hideaway from the traditional masses. It’s hard to imagine how you can squeeze any live musicians inside without it bursting at the seams, but somehow each Tuesday night they do, although once the music starts the toilet is out of bounds as the stage lies directly in front of the only loo. 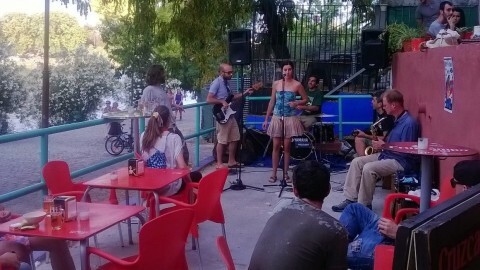 I´ve seen some of the most intimate and electric gigs in the bicicleteria, and unlike many live music events in Seville, the music takes precedence with Andres and David, the guys who run it, actually hissing the crowd into quiet attention. La Bicicleteria, Calle Feria 36, push the door even if it looks shut. 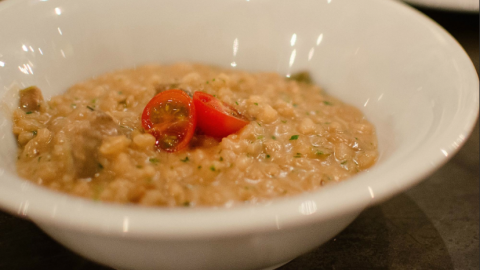 Another stalwart of the live music and artsy scene is Taberna Anima. From first inspection it’s easy to be fooled into thinking that Anima is just a traditionally tiled, spit and sawdust bar, but its place as a die hard supporter of local musical talent means that every Thursday and Sunday evenings Anima fills to the brim with an international crowd seeking out anything from Jazz to middle eastern music. In the wake of the demise of the Peña Torres Macarena, a good bet to see live flamenco with baile is the Peña Niño de la Alfalfa inside the Corralones on Calle Castellar, with performances going on Friday and Saturday nights. Get there early, because it can fill up depending on who’s performing. Avenida de Miraflores can seem like miles away if you’re just used to going out in the historic centre, but if you want to see some top notch local acts in an intimate venue that just gives you enough space to shake your tush, then Tarifa is the ticket. Thursday, Friday and Saturday nights you’ll usually find something going on, but as ever check their Facebook page beforehand. If you want to go really small and intimate while straying across the other side of the river into Triana Market, then La Casa Fundida could be the adventure for you. Plus you get to eat while you listen to local singer songwriters, with a selection of tapas on offer to delight your taste buds. 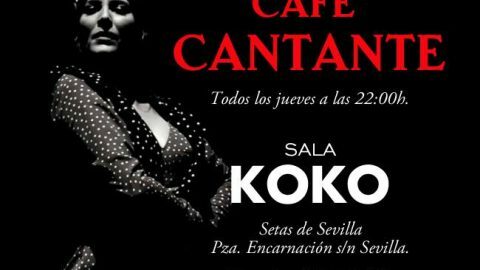 What you call in Spanish ‘un clasico’ of the live music scene in Seville. Got a bit confusing for a while as it seemed to reincarnate as a gay disco called Luxuria, while retaining the name Malandar for its dates as a concert venue. Malandar plays hosts to touring bands and local favourites such as Dani Mata and el Callejon del Gato who play this Friday 10th October. A newish venue that gets round the ‘f***king off the neighbours’ issue is Sala X, by being on an industrial estate just behind Torneo, towards the Alamillo Bridge. Being a bit of an old fart, I don’t massively recognise the acts, but there are DJs afterwards, and it is somewhere to go knowing that you can at least dance until dawn without a threat of the police breaking up the party. One of the few places that you can see live music, albeit Jazz, most nights of the week is Naima just off the Alameda. I’m not a regular, for no particular reason, but it seems to be a favourite with the jazz loving community. 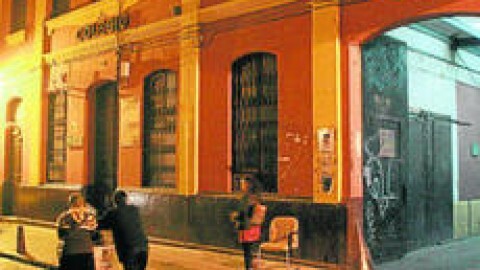 Another institution of Sevilla nightlife, La Caja Negra has a variety of live music, depending on the night. It regularly plays host to Flamenco often featuring young and upcoming dancers and musicians, but you could equally see anything from from spanish rock to Argentinian singer songwriters. It’s also somewhere to carry on drinking once the nearby Alameda bars have closed. Fun Club is a proper concert venue in the heart of the Alameda, playing host mostly to indie guitar bands, and is a popular hangout with Seville’s student population. If you stay on after the band it turns into a nightclub. I have a particularly soft spot for the Rincón del Buho. As well as having the cheapest menu del dia in town, they also regularly hold live music from their crumbling, atmospheric, mini theatre. Because of problems with the neighbours, it tends to be of the singer songwriter variety, but it’s an unique venue with a bohemian spirit that can’t help but to captivate. I haven’t been to La Tregua, but my Triana abiding chums say that it´s a top spot for hearing fun live music, often of the tribute band variety. Also playing host to regular gigs are Casa de Max, la Sra Pop, Casa la Teatro. 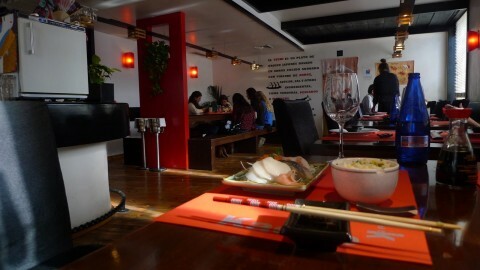 La Sala, Red House Art and Food, Gallo Rojo and Metáforas or for gigs in private spaces such as roof top terraces try Myplayz. 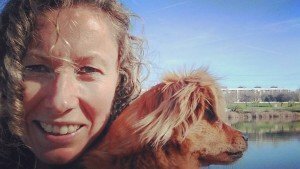 The Corralones… How come I was the last to know? Great post, Mary! You definitely have to be in the know to find live music in Seville.